The strict refusal a sidecar to accept no more than an appendage of a motorcycle, led to a suspension technology that can safely be called uncompromising, groundbreaking and therefore revolutionary. Based on one of the best big bikes in the world, the Yamaha FJ1100 / 1200, and true to the ideal of "Fraternité" the high-tech age of the team technique was introduced and explained the sidecar to the active partner. 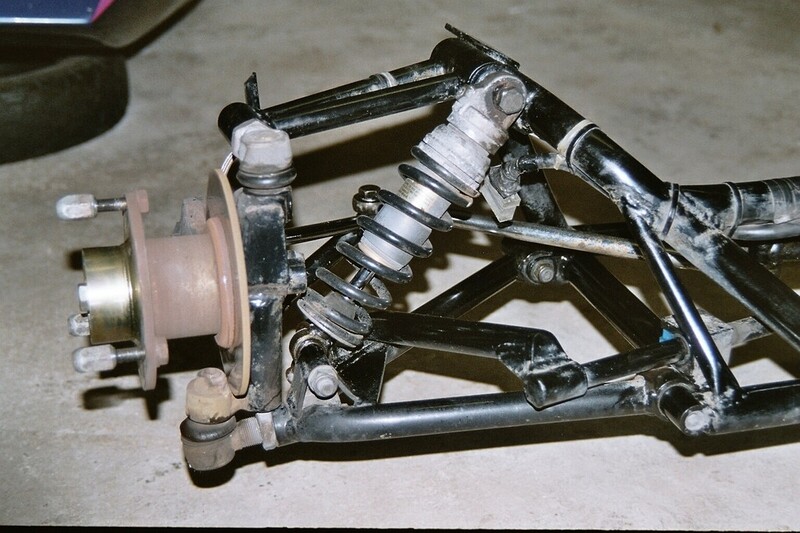 The revolution of the front suspension. The exact wheel guidance by two-arm in conjunction with the precision axle steering means a radical departure from herrkömmlichen concepts and their sometimes serious disadvantages. 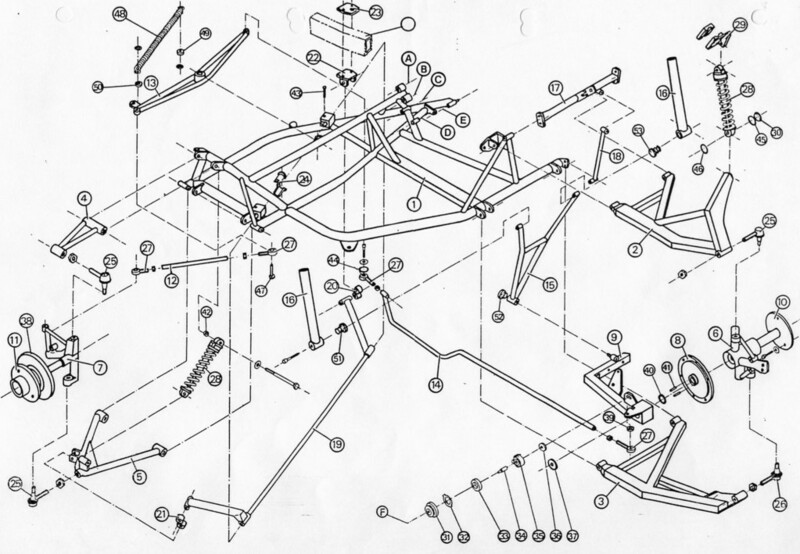 This system ensures a constant under all Bedingeungen suspension geometry. Neither the texture of the road, still braking operations have on the driving behavior a negative impact. A Untersetzungsverhgältnis of 1: 0.8 guarantees an easy steerability in the state, an Öhlins shock absorber ensures herrvorragenden ground contact of the front wheel. 2 original Yamaha calipers and a 300mm brake disc contribute to a vehement delay. The revolution of the third wheel. Led by two asymmetric wishbone carries it active when Comete a exellenten driveability. 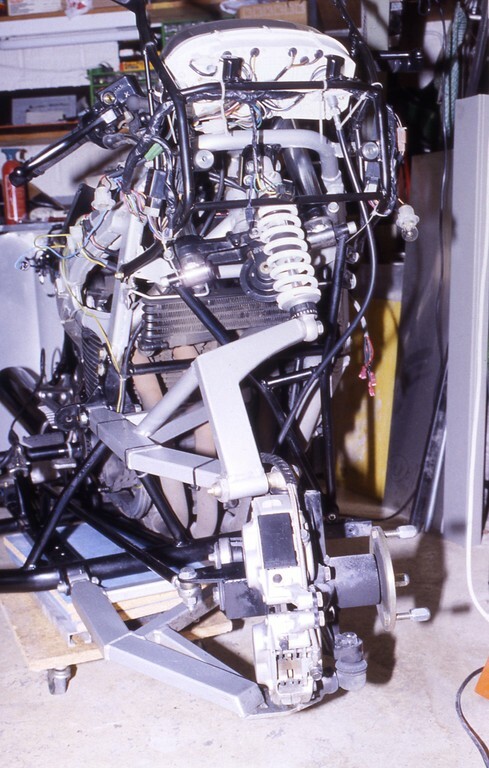 A simple structured lever system, which is controlled by the front-wheel steering, transmits the steering forces on the sidecar wheel which or with an impact of 50%, 20% participated in steering the team of horses. The revolutionary advantage; the erasing of the third wheel when cornering, we significantly reduced, and traction thus considerably improved. 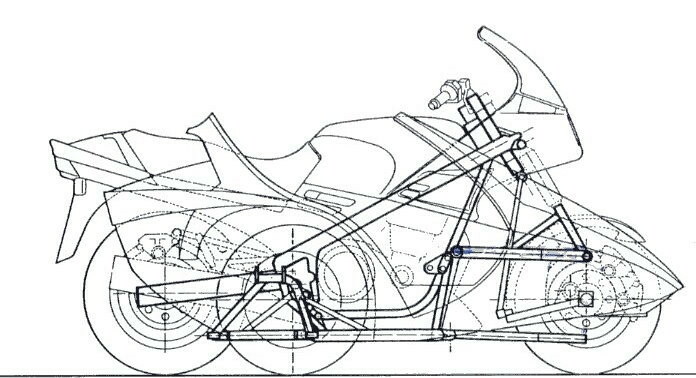 Thanks to its controllability of the flow of the sidecar wheel could be significantly increased, which in turn prevents the dreaded putting the bow at a very brisk left turns. For driving comfort Öhlins makes a strut for a reliable delay guarantee Brembo disc brakes. The revolution of the boat. You can not overtake anyone in whose footsteps you walk. Dess half we have our boat approved many useful new features in addition to a revolutionary styling. A robust bodywork made ​​of lightweight, fiberglass-reinforced polyester, side one solid stone guard and an unbreakable windshield, the scratch protection film provides durable clear view. The whole is supported by a tubular steel frame that protects the occupants effectively. Comfortable interior: a wide comfortable seat, interior trim with Oddments tray, mounting device for a radio along with two boxes and a doormat are only "lÓverture de la Liberté", because the deck proves sense of freedom. Constructed in three parts allows any combination between everything and nothing. Generous windows let a not sit in the dark even with the roof closed. In 1988 IFMA They put the concept of your team for the first time against a wide audience. Can you achieve your ambitious but in terms of sales and how do you assess the German market? JC Perrin: In the past year, we achieved sales forecasts and thus our ambitious goal. We are satisfied. The German market is very important to us. In France, the team is primarily a means of transport for the family. In Germany, the team has a higher priority value in leisure activities. This allows us to more in Germany than in France Comanche fallen. MG: In America, you were present at the presentation of the Comet. How do you see the market at rather conservative but Americans? JC Perrin: I prefer to speak of German and American market. JC Perrin: In America, our teams are more an object of spectacle. The judge American chrome or Innenaussattung not frame or manufacturing quality. MG: What do you hope the European single market? JC Perrin: I want to double production. MG: Have they developed concrete strategy egg-do? JC Perrin: I think we can achieve this continuous improvement of quality. We also want the good reputation we have achieved with our concept, strengthen and help other buyers. MG: Why you can not achieve a better quality now? JC Perrin: It was not understood. The target audience of our teams is a pilot period when Ge. But we also want to reach new buyers. The biggest obstacle is currently the motorcyclist who still believes today, driving is dangerous. So we need to change the solo motorcycle driver setting to the team. I think we keep our technical and visual quality products on track. The piece then higher pay leave us turn more space for details and refinement model. MG: The 77-R 1100 Kawasaki has set new standards in the field of high performance motorcycles. 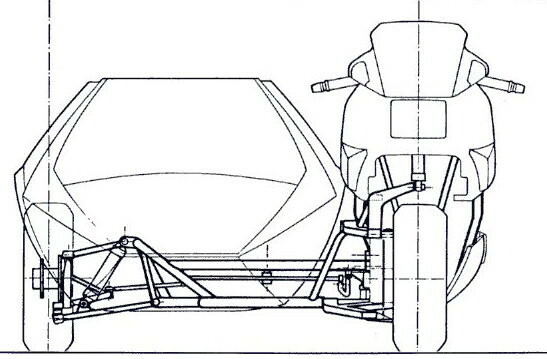 A reconstruction of the team could be the aluminum frame in the way. How do you assess the problem of aluminum frame - Tag team? JC Perrin: In our concept, a bike with aluminum frame is not a problem. 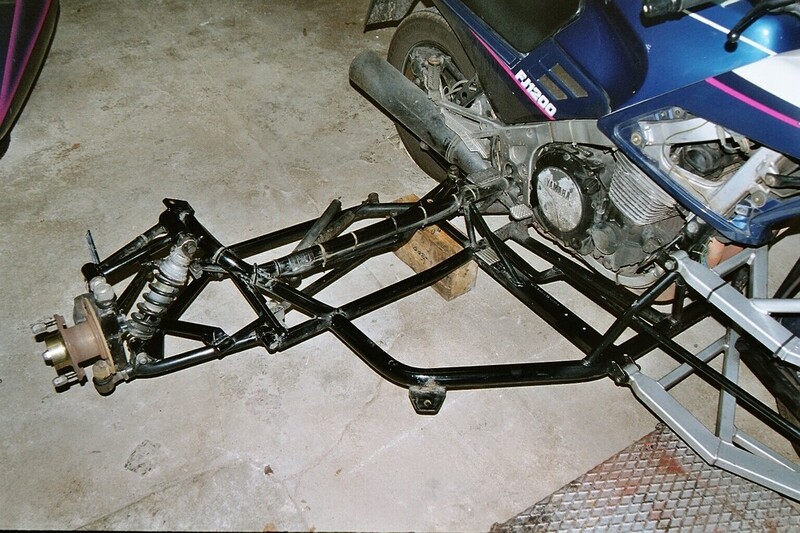 The one could be the rear swing arm, but since we had a good experience with the Yamaha FJ series. MG: Do you have any concrete plans in the drawer? JC Perrin: Yes. Kawasaki leads to a model of brutal policy. Until we have developed a conversion kit for the ZZ-R 1100, ie the machine already ZZZZ-R 1100 or otherwise. Also, having Kawasaki bikes here in France, a negative-sports image that does not correspond with our company policy. MG: In the automotive industry, it is said that in 2000, only six major companies will survive. Assuming that this statement also applies to the transport market, Side-bike will be there? JC Perrin: I realize that you can still buy a Comet team or Comanche in 2000. Our production and Vetriebskonzept we have a better chance against the boat. Currently there are 17 producers in France, and many already have problems with the approval. The tightening of conditions of license in the years to come, some will disappear from the market. Our teams have been tested to Französischen, German, Swiss and Japanese regulations. So we can look forward with confidence.